In 2007, iOS was first introduced by Apple with the name of the iPhone OS along with the introduction of the iPhone 3G. The first version of the iPhone OS is not equipped with the App Store. But Apple includes Apple applications such as music, browsers and calculators. One year later, on July 11, 2008, Apple released the second version of the iPhone OS (iOS) for the 3G iPhone Smartphone. The second version is equipped with the App Store, a place to download or buy an iPhone application. With this second version, iPhone 3G users can add to the collection of applications by downloading directly from the App Store. In Apple's third iOs to present the Copy-Paste and IAP features, the iPhone OS continues to evolve. Apple introduced iOs3 for iPhone 3GS Smartphone. In-app purchase support, which is a payment feature in the application that makes it easy for users to buy paid apps on the App Store. Apple officially announced a change of name from the iPhone Os to iOS, a better name because it is easily memorized. Apple launched iOS 4 with several new features such as multitasking, all Apple gadgets can run more than one application at the same time. iOS 4 is not only available on the iPhone, but also on the iPod Touch which is introduced simultaneously. On June 21, 2011, at the Wordlwide Developer Conference, Apple introduced iOS 5. 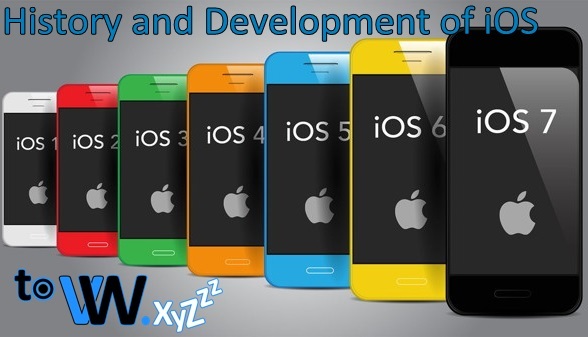 Apple continues to develop iOs which continue to be a huge success and are widely used in many countries. 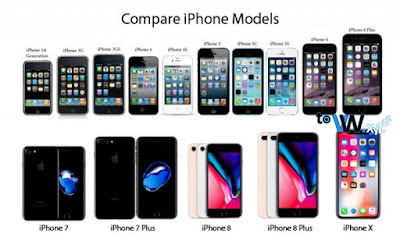 The name Apple and the iPhone are getting bigger, coupled with the presence of the latest iOS 5 OS that provides the latest features like iCloud, iMessege and Siri. In this version for the first time iPhone users can activate their iPhone without using a laptop / computer. This makes it easy for users to activate because it can be done directly on the Smartphone. One year later on June 11, 2012, Apple re-introduced the latest version of iOS iOS 6 with the latest version of Apple Maps. This feature is very helpful and useful in several places in America and Europe, but Apple Maps cannot work in several countries. This causes iOs 6 to get a lot of negative responses from users of Apple products. Apple made various updates on the poor response of iOS 6, on June 10, 2013. Apple officially released and announced iOS 7. In this version, there were many changes made by Apple, especially in terms of design. Display of iOs 7 is more attractive with a new icon display. In addition, some additional features in this version are AirDrop, Control Center, and Touch ID support found on the iPhone 5S. On June 2, 2014, Apple released iOs 8 with new features such as Family Sharing, Continuity, Health and iCloud Drive applications. One of the best iOs with a significant increase from the previous iOS series. Lapse of one year, precisely on June 8, 2015, iOs 9 was released. This version brings several new features such as 3D Touch that can be used on iPhone 6S and 6S Plus. Some new default applications were also introduced such as News and there was a change in the Passbook Application to Wallet. Bringing several changes from the redesigned Lock Screen, the new Message feature, and many of Apple's flagship apps that are increasingly being upgraded. In this version, Apple also introduced the Siri API for application developers. Next is the 11th version of iOS which was introduced on September 19, 2017. In this version, the Notification Center and Lock Screen are one, making it easier to monitor. In addition, iOs have a faster performance than the previous version. Used on smartphones that have high specs, it's no wonder that Iphone products are very comfortable to use and reliable. 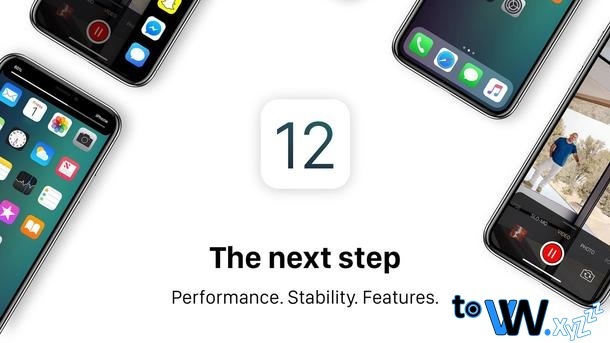 And the most recent is iOS 12 which was introduced on September 17, 2018 ago. This version focuses more on stability and improved performance. Apple improves the quality of features that have been in the previous version. That is complete information from the start of History, Definition - Explanation, and Development of iOs from the first release to the latest version. Thank you for visiting, hopefully it's useful. Keyword Search: Iphone Operating System iOs, Development of Iphone Operating Systems iOs, History of Iphone Operating Systems iOs, Types of Iphone Operating Systems iOs, Information Version of Iphone Operating Systems iOs, Types of Versions of Iphone Operating Systems iOs, Development of Iphone Operating Systems iOs, Development Information and History IOs Iphone Operating Systems, Regarding iOs Iphone Operating Systems, Understanding IOs Iphone Operating Systems, Explanation of Iphone iOs Operating Systems, Development of the Latest iPhone Operating Systems Complete iOs, Detailed Information Iphone iOs Operating Systems, Development of Iphone iOs Operating Systems from First to Latest Versions, Information Regarding Iphone Operating Systems iOs, Knowing Iphone Operating Systems iOs, Detailed Info on Iphone Operating Systems iOs.